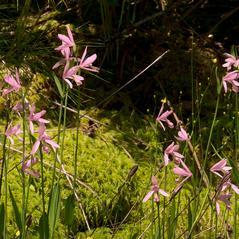 Pogonia ophioglossoides, commonly called Rose Pogonia, is found across central and eastern Canada and the United States, from Texas to Newfoundland. 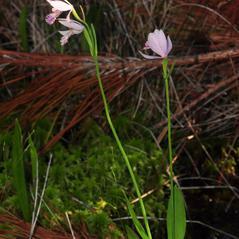 It produces one leaf mid-way up its stem, and has one (rarely two or three) pink or rarely white flowers. 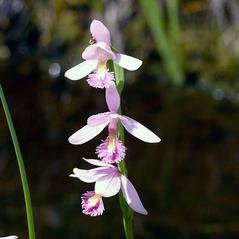 The edges of the labellum are lacerate; along the center of the labellum, there are several rows of dark pink, purple, or yellow hairs, giving the flower a bearded look. 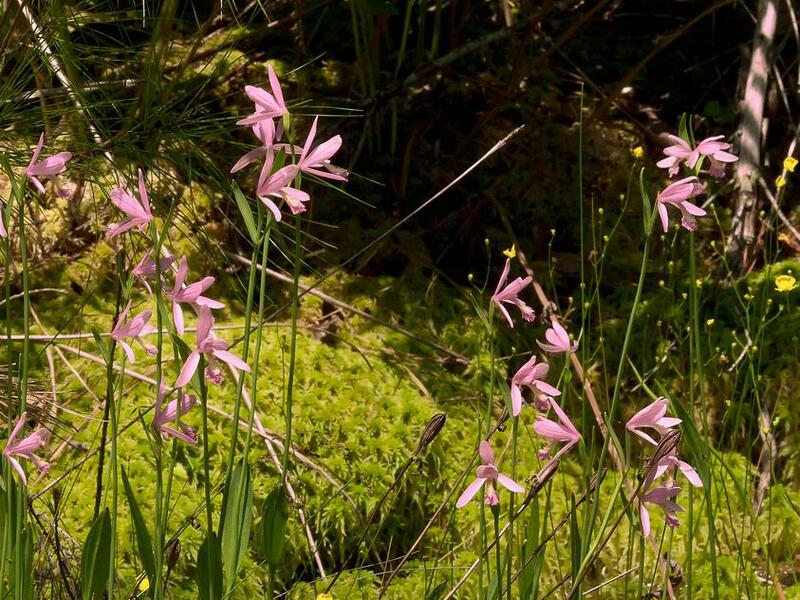 It can be distinguished from other species with similar flowers, such as Calopogon tuberosus or Arethusa bulbosa, by its bearded labellum. 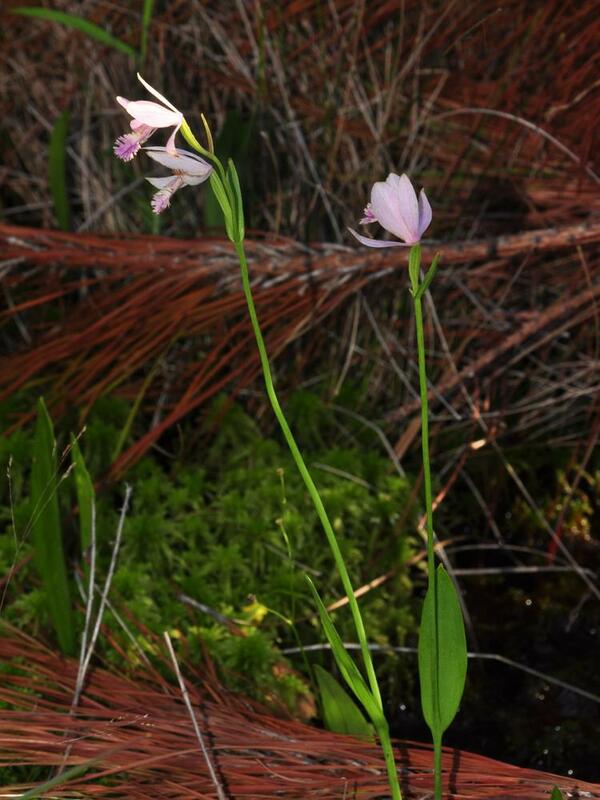 It is typically found in boggy habitats, including moist prairies, meadows, and woodlands, swamps, and along riverbanks and roadsides. 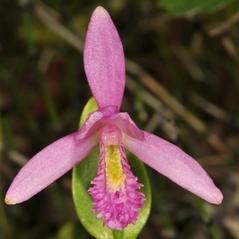 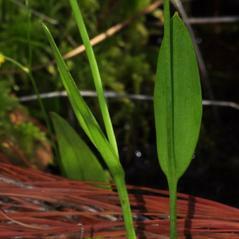 Pogonia ophioglossoides is considered globally secure, although it is rare or vulnerable throughout much of its range. 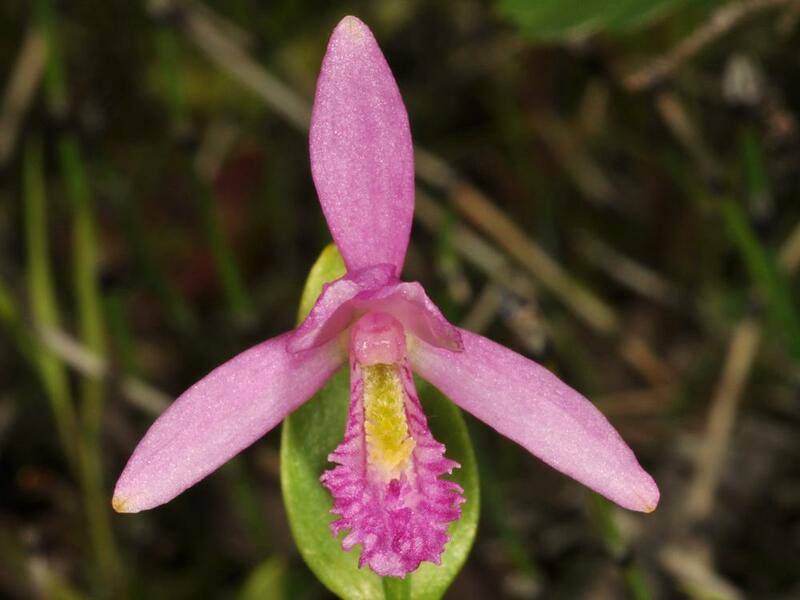 This orchid is pollinated by many species of bumblebees including Bombus borealis, Bombus fervidus, Bombus sandersoni, Bombus ternarius, Bombus terricola and Bombus vagans. 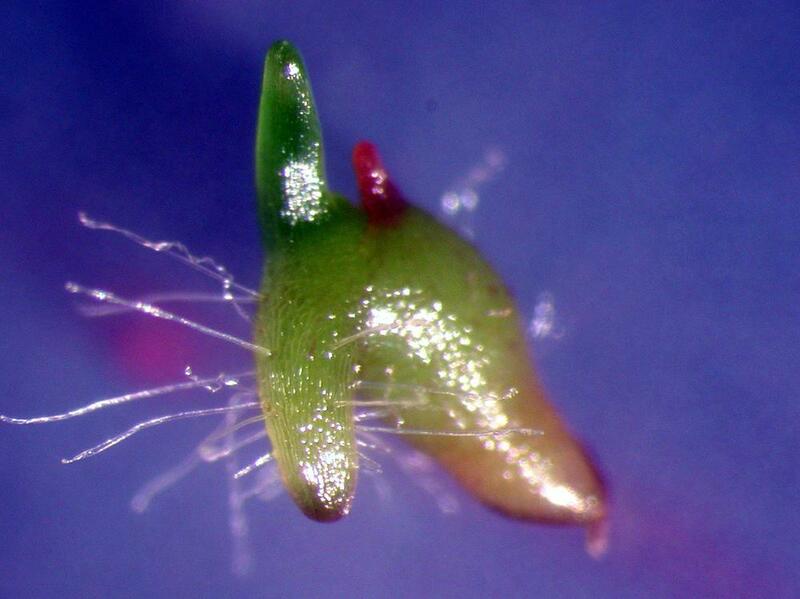 Pollen transfer occurs as the bee puts its head deep inside the flower. 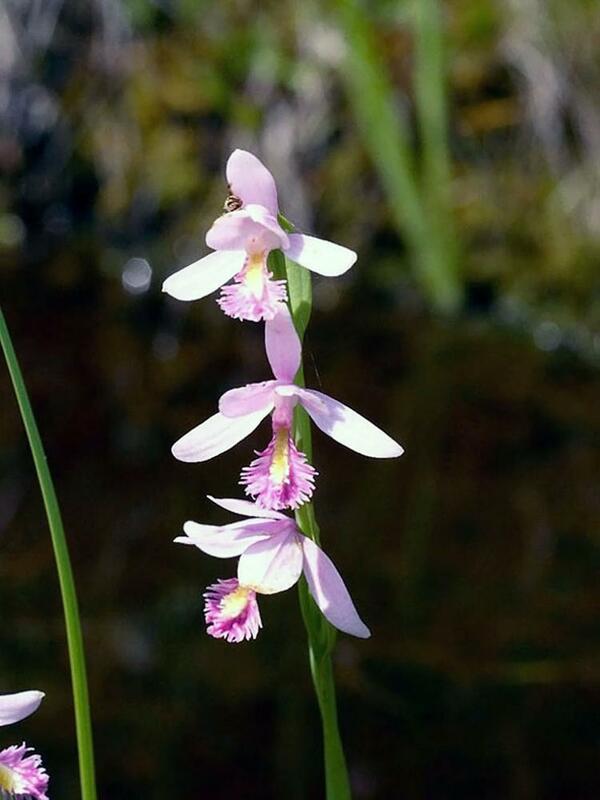 As it searchers for pollen and nectar the anther of the flower brushes against the head of the visiting bee and pollinia attaches to the bee’s head. 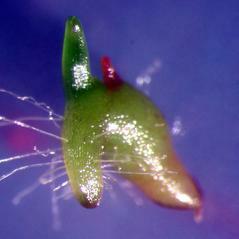 Pollen can be transferred from the head of the bee to the stigma of the next flower it visits. 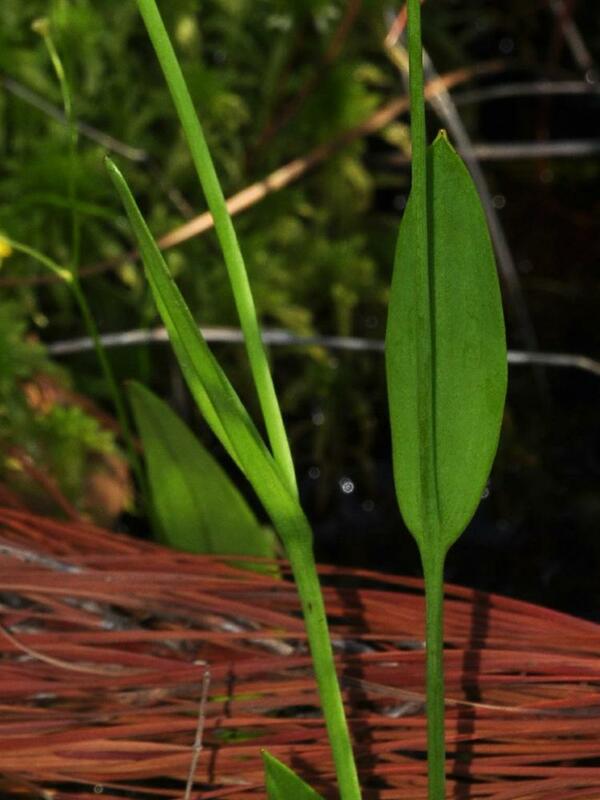 Pogonia ophioglossoides may flower as early as March in Florida and as late as August much further north.